United States research team might uncover the lost city of Atlantis, the legendarymetropolis that is believed drowned by a tsunami thousands of years. The city was nowin the muddy area in southern Spain. "This is the power of the tsunami," said lead researcher Richard Freund told Reuters onSaturday (12 / 3). 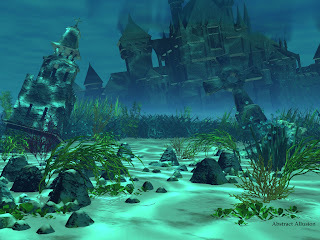 According to Freund, who is hard to believe that the lost city of Atlantisis now within 60 miles of the coast. Freund, a professor at the University of Hartford, Connecticut, USA, revealed, to solvethe mystery of the existence of Atlantis, the team used satellite images and the suspecthad found the site in northern Cardiz, Spain. Buried in the extensive marshes in the area of ​​Dona Ana Park, who showed signs of the existence of Atlantis. "We found something that is not obtained by others previously. reliable findings,especially for archeology. The discovery of a very sensible, 'said Freund. Greek philosopher Plato wrote of Atlantis about 2,600 years ago. He described it as anisland located in the straits called the Pillars of Hercules - the Strait of Gibraltar, knownin antiquity. Using a full report on Atlantis Plato as a map, the search focused on theMediterranean region. While the tsunami in the region has been documented for centuries. Freund said one ofthe largest tidal wave which hit Lisbon, Portugal, in November 1755.